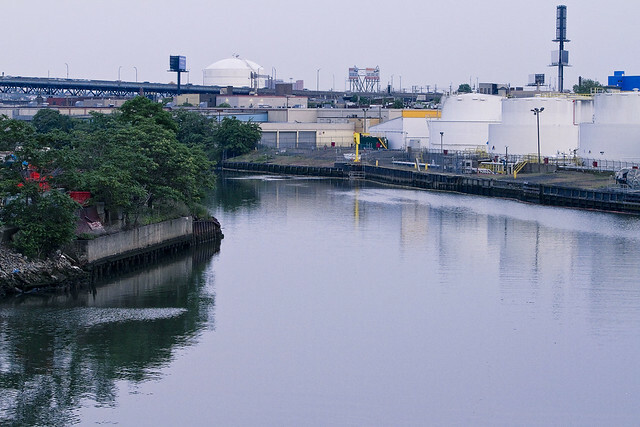 If one doth dare, acknowledging and admiring the languid splendors of the Newtown Creek from midstream is neither commonplace nor ordinary. Intellectual inebriation is experienced by one such as myself while engaged in ribald contemplation of the place. 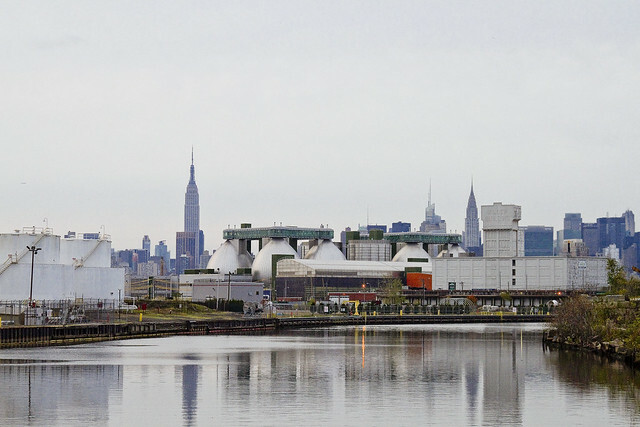 Ineffable wonder surmounts the water body, and no place is more steeped in legend and litigation than the southern banks found between Greenpoint and Meeker Avenues in infinite Brooklyn. 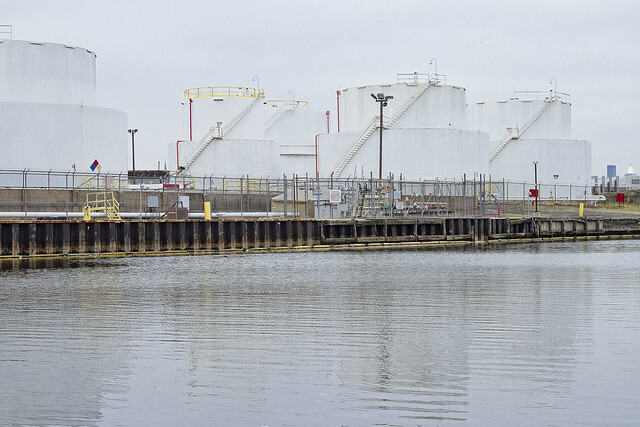 In focus this day, here at your Newtown Pentacle, are the fuel tanks which betray the presence of the British Petroleum (formerly Amoco) facility at Apollo Street. This was a sliver of the gargantuan Standard Oil works, a bulk storage yard built on the property in 1969 by the fore mentioned Amoco oil corporation. 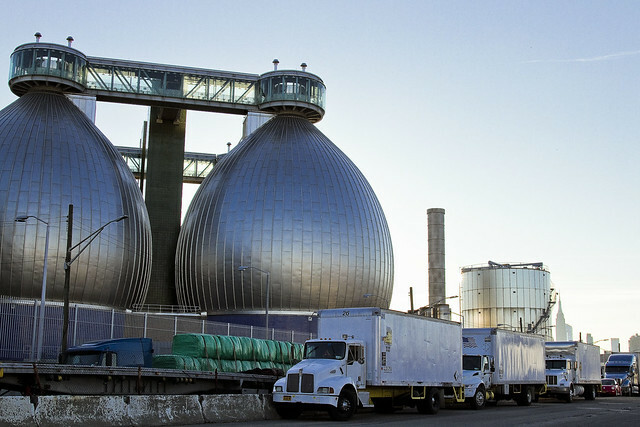 Refining of petroleum distillates ceased on Newtown Creek in 1966, and the local oil business in modernity is all about storage and distribution. 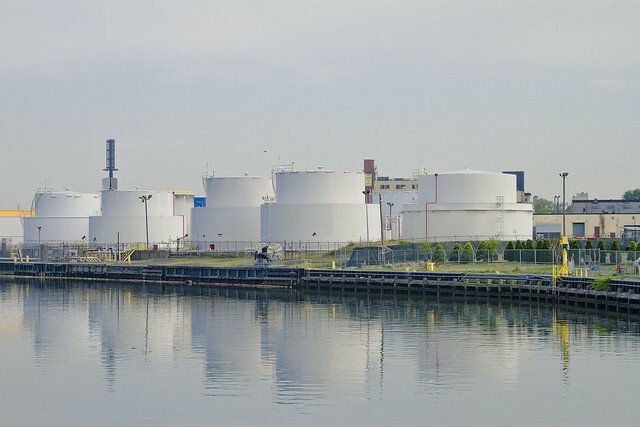 The BP yard is 9.98 acres, hosting one underground and eleven above ground tanks with an overall capacity of 5,902,512 gallons of storage. There is Kerosene, Gasoline, Ethanol, and #2 fuel oil in supply- all of which are available for bulk purchase by local companies. Additionally, there’s eight dual phase recovery wells on site which, as of 2011, had siphoned some 21,500 gallons of petroleum from deep underground. That’s where a story that started during the 1880’s actually began in 1978. Apollo Street in Greenpoint Brooklyn, where the Locust Hill refinery fire happened, and where the Standard Oil operation once towered, is pretty close to ground zero of the infamous and much referred to “Greenpoint Oil Spill”. 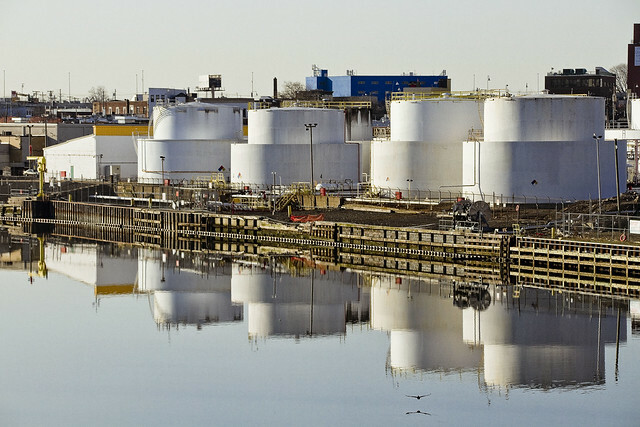 In 1978, when a Coast Guard helicopter pilot first noticed that oil was oozing from the bulkheads of Newtown Creek- it was right across Apollo from the BP yard, at a former Paragon Oil terminal owned in modernity by a beverage importer and distributor. 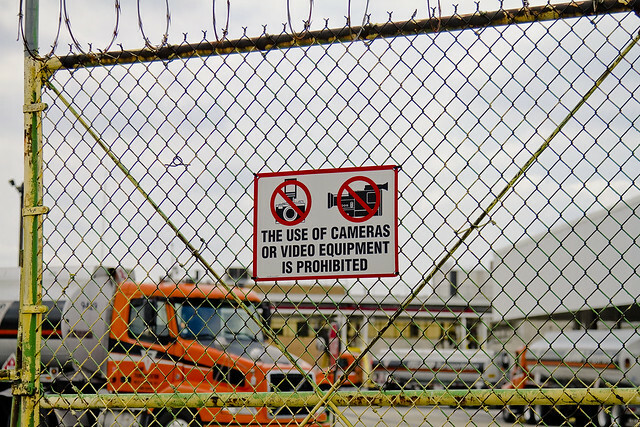 In the shot above, the spot to look for are the three garage doors on the cream colored building just beyond the tanks. That’s where the Coast Guard first spotted the plume. As a point of fact, however, it should be mentioned that the traditional manner in which Americans pronounce the word “Oil”- Oy Uhl – is incorrect in North Brooklyn. Around these parts the way to say that word is simply “Erl”. “Greenspoints Erl Spell” is what “Greenpoint Oil Spill” should sound like, if pronounced in proper Brooklyn patois.